Lobbyists for and against a sugar-sweetened beverage tax have been flooding the Statehouse as the legislature nears a decision on the highly controversial measure. But just how much they're spending to make their case — and who's paying for it — won't be known until April 25, the next lobbying disclosure deadline. By then, the legislature will be days away from adjournment and the question may well have been settled. The Senate Committee on Government Operations is seeking to change that process. It voted unanimously Thursday morning for legislation that would enhance lobbying disclosure rules. Instead of reporting how much they've made and spent just three times a year, lobbyists would be required to do so five times a year — including once a month during the legislative session. Perhaps more significantly, those spending more than $1,000 on advertising campaigns meant to influence legislative action would have to disclose such expenditures within 48 hours. 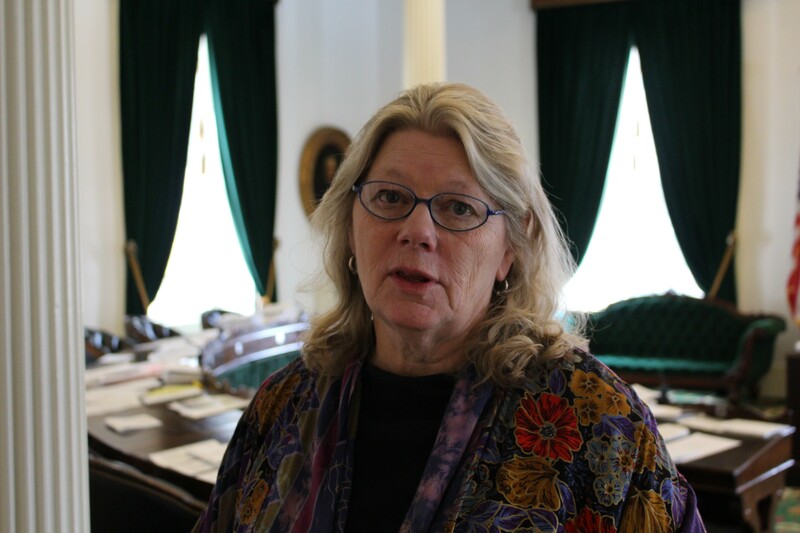 "Lobbying is seen as pressure to influence legislation, and the public's interest or the government's interest is to know where that pressure is coming from," said Sen. Jeanette White (D-Windham), who chairs the committee. "We decided it was important to have more reporting during the legislative session, so that it was obvious to both legislators and the public where that pressure was coming from." The new advertising disclosure rules would govern television, radio, print and electronic media. They would also require the ads themselves to make clear who paid for them. The provision in some ways resembles rules governing campaign ads in the closing weeks of an election. The Vermont Public Interest Research Group, itself one of the state's most powerful lobbyists, has fought for the measure. "We're really excited that all lobbyists who are spending significant sums of money on advertising will now have to disclose in a timely way," said VPIRG lobbyist Julia Michel. "When you ask yourself how long should lawmakers, the public and the media have to wait to see who's behind a couple thousand dollar advertising campaign, we think the answer shouldn't be any longer than 48 hours." The bill, S.93, heads to the Senate floor next week.